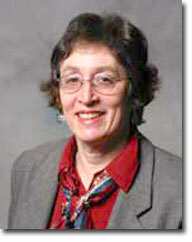 Roberta Gordenstein is Professor of Foreign Languages at Elms College in Chicopee, Massachusetts. She has published articles and reviews about Jewish and Latina writers in Hispania, Monographic Review and Letras Femeninas. Her translations appear in The House of Memory and Miriam’s Daughters: short stories and poems by Jewish Latin American women, Luzmaria Jimenez Faro’s Beloved Angels; Woman without Background Music by Delia Dominguez; and The Virginia Quarterly Review. Her latest collaboration with Marjorie Agosin will be the forthcoming Chile: Land of Rain.